T-Mobile completed a test of 5G data transmission on low-band spectrum (600 MHz) over its live commercial network. Nokia supported the test, which was performed in Spokane, Washington. T-Mobile said the test proves that low-band airwaves will provide 5G coverage across hundreds of square miles from a single tower. T-Mobile notes that it is the only wireless provider building 5G on multiple spectrum bands, including low-band and millimeter wave. The company said it is on track for delivering nationwide 5G in 2020. A new "Manatua" South Pacific submarine cable system will be deployed to provide connections from Apia, Samoa to Toahotu, Tahiti, with branching units for landings to Niue; Aitutaki, Cook Island; Raratonga, Cook Island; and Vaitape, Bora Bora. The Manatua Cable will be a new two/three fiber pair trunk that connects Apia and Toahotu with a two-fiber pair branch to Avatele, a three-fiber pair branch to Raratonga and one-fiber pair branches to both Aitutaki and Vaitape. The cable will cover more than 3166 kilometers in total. SubCom has been engaged for the supply and installation of the subsea system. Researchers at Duke University have demonstrated a photonic crystal waveguide capable of directing photons of light around sharp corners with virtually no losses due to backscattering. The photonic crystal waveguide was built on the concept of topological insulators. A research paper on the topic was published in the November 12 issue of Nature Nanotechnology and an overview is posted on the university's website. Deutsche Telekom and Ericsson have deployed a dedicated LTE based campus network for OSRAM, a multinational lighting manufacturer headquartered in Munich, Germany. Huawei announced the shipment of its first 10,000 5G base stations to carriers worldwide. most importantly, demand is real. Of course, there are still some barriers to 5G deployment." 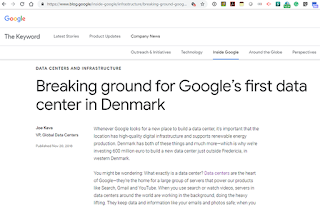 Google confirmed plans for a new data center in western Denmark, just outside Fredericia. The new facility represents an investment of EUR 600 million. Google is securing Power Purchase Agreements with renewable energy sources in Denmark. Construction is expected to be completed in late 2021. 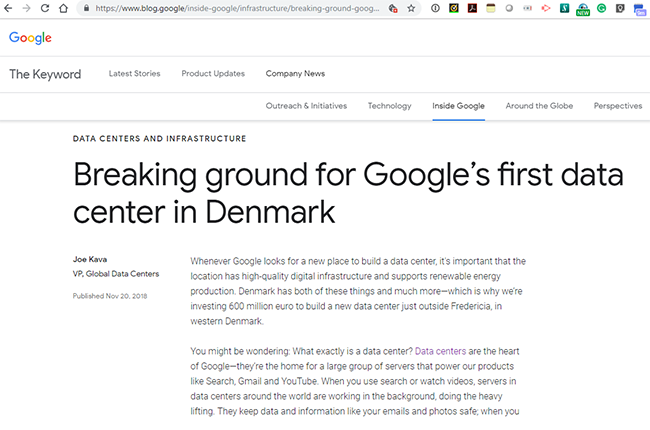 This will be Google's fifth data center in Europe, joining sites in Ireland, Finland, the Netherlands and Belgium. Telia, in partnership with Nokia, is launching a pre-commercial 5G network in the city of Oulu, Finland. A 5G ecosystem will be built in the Nuottasaari industrial area in Oulu. The area will be one of the world's first industrial 5G environments. 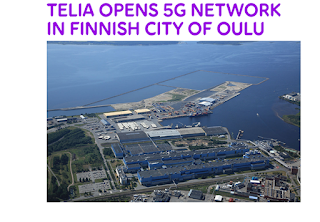 "Oulu is one of the key locations for research and development of Nokia 5G technology and mobile network products globally. The strong start-up culture of the Oulu region and close cooperation between the city, the university and the businesses in the region have enabled a unique ecosystem to be created in Oulu. Among other things, the ecosystem built an open 5G test network where companies in the area collaborate to generate new products and services," says Rauno Jokelainen, VP, Smart Radio Development Unit, Mobile Networks at Nokia. A new global service provider survey by Broadbandtrends has named ADTRAN as the top source in all categories for delivering the next-generation technology, products, services and solutions needed to help network operators build their best 10G fiber access networks. The “Global Service Provider Survey” analyzed the results from interviews with incumbent and competitive operators in all major regions, ADTRAN placed first in every category for its 10G fiber access solutions and services. 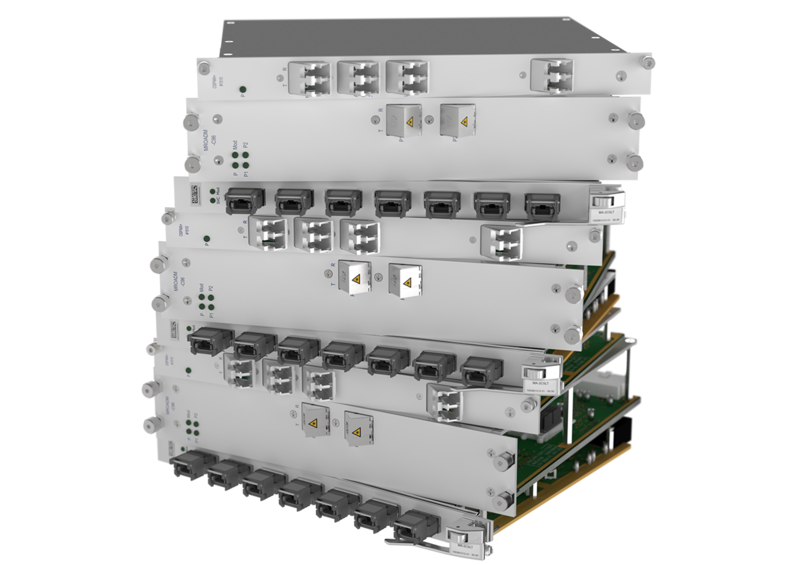 ADTRAN’s fiber access portfolio includes XGS-PON, NG-PON2 or 10G-EPON. 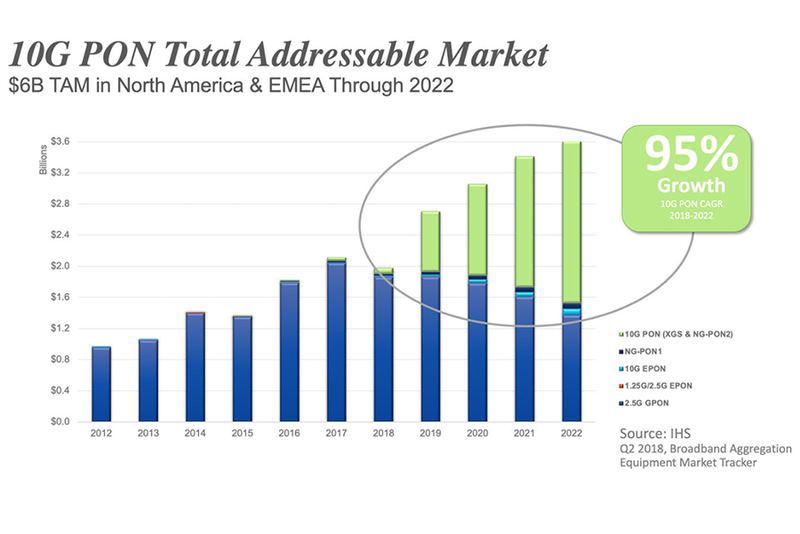 According to its “Global Service Provider Survey: 2018 10G PON Deployment Strategies & Vendor Leadership” report, 79% of carriers worldwide plan to deploy 10G PON by 2020. 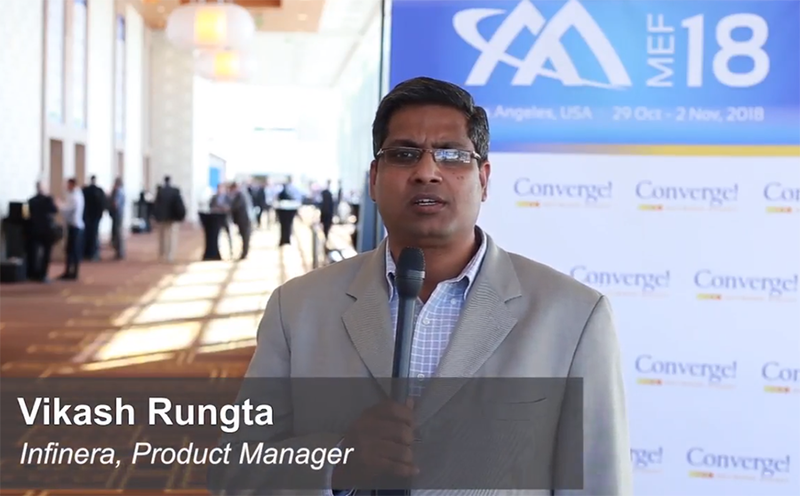 “10G PON is a clear market priority for service providers for its ability to enable carriers to simplify network architecture and expand their addressable markets. ADTRAN’s dedication to delivering the products and solutions the market wants has clearly been recognized by service providers worldwide,” said Teresa Mastrangelo, Broadbandtrends Principal Analyst. Airspan Networks, which offers 4G & 5G small cell access and backhaul solutions, has acquired Mimosa Networks, a developer of wireless broadband systems. Financial terms were not disclosed. Mimosa, which was founded in 2012 and is headquartered in Santa Clara, California, leverages Multi-User MIMO technologies in its outdoor gigabit wireless platforms for service providers. Mimosa's access, backhaul, and client solutions are deployed in a hybrid-fiber-wireless architecture, including both Point-to-Point and Point-to-Multipoint applications. Airspan said the deal strengthens its leadership in 5G network infrastructure, adding technologies and products, sales channels and customers. inexio, which operates five data centers as well as city and regional fiber infrastructure in Germany, Belgium and Luxembourg, has deployed ADVA's FSP 3000 CloudConnect with QuadFlex technology. inexio is deploying the solution alongside existing FSP 3000 AgileConnect infrastructure as part of a future-proof hybrid network. The upgrade boosts the capacity of inexio’s transport system to 100 or 200 Gbps across its entire network stretching over 6,000 km. 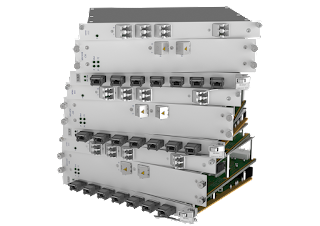 It also provides innate flexibility to grow to 400 Gbps and up. Keysight Technologies reported revenue of $1,047 million for its fourth fiscal quarter of 2018 ended Oct. 31, 2018, up 19% compared with $878 million last year. Non-GAAP revenue, which excludes the impact of fair value adjustments to acquisition-related deferred revenue balances, grew 16% to reach $1,051 million. Non-GAAP core revenue, which also excludes the impact of foreign currency changes and revenue associated with businesses acquired or divested within the last twelve months, increased 17%. There was a GAAP net loss of $114 million, or $0.61 per share, compared with a GAAP net loss of $38 million, or $0.20 per share, in the fourth quarter of 2017. Non-GAAP net income was $193 million, or $1.01 per share using 191 million weighted average shares, compared with $135 million, or $0.71 per share using 189 million weighted average shares in the fourth quarter of 2017. Communications Solutions Group (CSG) -- record revenue of $566 million in the fourth quarter, up 23 percent, driven by 5G-related R&D spending across the wireless ecosystem, data center next-generation 400GbE, high-speed digital test and aerospace, defense and government. Electronic Industrial Solutions Group (EISG) -- grew a record 21 percent in the fourth quarter to $249 million, driven by solid double-digit growth for automotive and energy, general electronics and semiconductor measurement solutions. Ixia Solutions Group (ISG) -- revenue was $115 million in the fourth quarter, compared with $124 million in the prior year fourth quarter. ISG continued to improve sales execution; however, revenue was adversely impacted by the contract manufacturing transition. Services Solutions Group (SSG) -- revenue grew 10 percent in the fourth quarter to a record $121 million, driven by growth in calibration, remarketed and repair services and solutions.